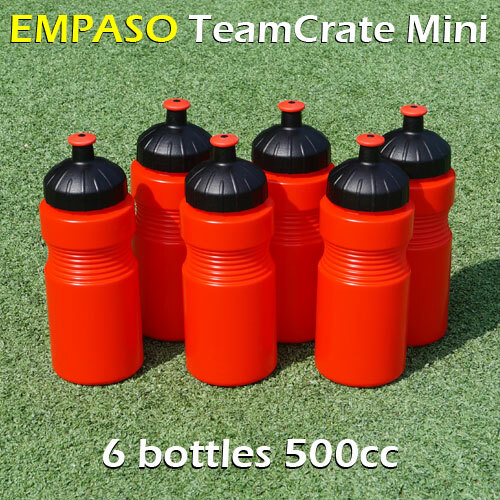 EMPASO ® TeamCrate Mini | 6 Sports Bottle Carrier Set 500ml. 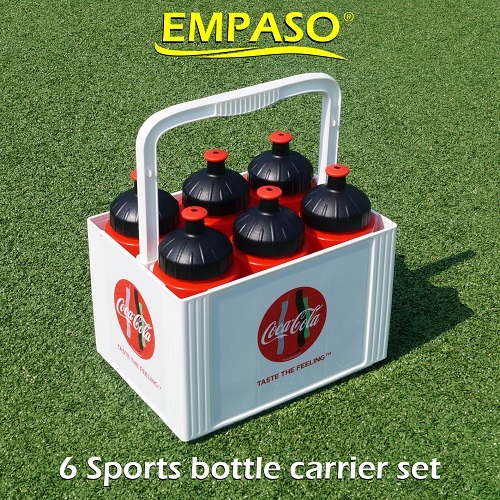 TeamKrat Mini is the new sports bottle carrier set with 6 sports bottles 500ml. The crate is strong and robust and had a collabsible middle handgrip. 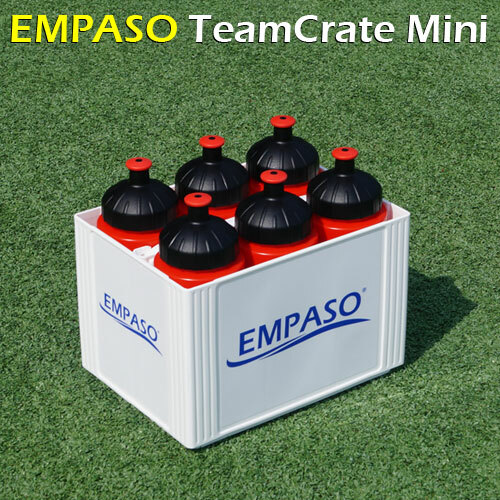 The TeamCrate Mini is only available in white and contains six red sports bottles 500ml with a black-red closure. 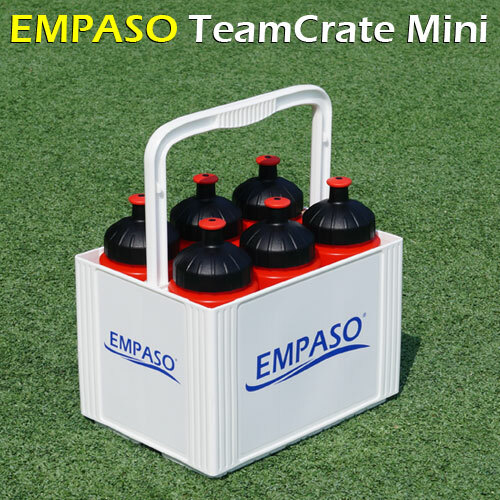 TeamCrate Mini 6 x 500ml can be ordered in two versions: (1) a standard EMPASO version or (2) a personalized version with your clublogo or sponsor image placed at all four sides. The DHL delivery price for a parcel to the UK or Ireland is € 14,50 excl. VAT or € 17,55 incl. VAT. The delivery time is about 10 working days plus the time DHL needs to deliver the parcel to your door and Thursday is our weekly fixed shipment day. The CoachBoard which fits into your TeamCrate. Select your payment method: * via PayPal and/or Credit Card.via my own bank online. Surcharge for PayPal / Credit Card is € 3,00 per TeamCrate. JPG files below 200 kb cannot be processed. Upload a 2d image in case you want 2 different images on your TeamCrate Mini (surcharge € 5,00). Once you have submitted your order you will receive a short e-mail from us in order to verify your e-mail address.